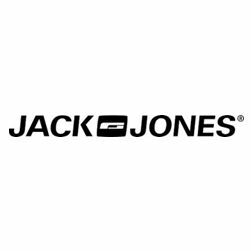 Premium sponsor of the VELUX EHF Champions League, the leading men’s fashion brand, JACK & JONES, has signed a two year extension to its partnership with EHF Marketing GmbH, the European Handball Federation’s marketing arm. JACK & JONES has been a sponsor of Europe’s top class men’s handball competitions since the start of the 2009/10 season. The deal includes exposure though LCD perimeter and playing court advertising in the VELUX EHF Champions League and also the Men’s EHF Cup Finals, which will take place in Berlin on 17/18 May 2014. The extension will see Jack & Jones’ involvement carry through to the end of the 2015/16 season. JACK & JONES will continue to activate its sponsorship throughout the season with the use of real time social media campaigns, promotions in its stores and extensive on-site fan activities. The company also enjoys additional brand exposure, with the mopping crews in the VELUX EHF Champions League wearing the logo of the brand in all matches of the competition. JACK & JONES was founded in 1990, and in the following years we quickly manifested ourselves as one of the strongest jeans brands on the market. Today we are one of Europe’s leading producers of menswear with more than 1000 stores in 38 countries and JACK & JONES clothes are sold by thousands of wholesale partners all over the world. Jeans are still regarded as the backbone of JACK & JONES’ business. We continue to have a high level of expertise when it comes to the craftsmanship, quality and design of jeans, but JACK & JONES is nowadays also defined and represented by the five brands: JACK & JONES VINTAGE CLOTHING, PREMIUM by JACK & JONES, ORIGINALS by JACK & JONES, CORE by JACK & JONES and JACK & JONES TECH.